With Halloween fast approaching, it is time to review some driver safety tips for staying safe. To make sure your Halloween is a night full of treats, here are five safety guidelines for driving on Halloween night. No matter where you are driving, it is important to take special care to drive slowly on Halloween. With so many kids out trick or treating, you never know when someone will run out into the road or step off a sidewalk. Pedestrians aren’t concerned about staying in crosswalks when they are collecting candy. With costumes on, pedestrians might not be able to see well, limiting their ability to see oncoming traffic. If you drive slowly, you can stop faster if someone does step in front of your moving car. If you are headed to a Halloween party, chances are you are driving in a costume. Don’t ever drive a vehicle with a mask on because it limits your visibility. Avoid wearing any costumes that cover the head at all, including the ears, so that you can keep all your senses alert. It is better to leave a few minutes early or be a little late and add the rest of your costume once you get to your destination than it is to be unsafe while driving. If possible, avoid driving where there is a higher concentration of trick-or-treaters or party-goers, including neighborhoods or areas offering trunk-or-treats. If you must go through one of these areas, use extra caution pulling in and out of driveways, pulling into traffic, and always keep your headlights on. Try to stick to main roads and avoid taking shortcuts through back streets. It is extra important to avoid any distractions when driving through crowded areas, risky situations, or on a day when people are a little more reckless, like a holiday. Distractions can include things such as cell phones, loud music, and eating while driving. Another dangerous distraction is passengers in the car who might be rowdy or trying to carry on too many conversations with the driver, distracting their attention from the road. Focusing on the road is very important to stay safe, so eliminate anything that might distract you from driving safely. Many parties provide substances for the celebration like alcohol or drugs that slow your reaction time, reduces your ability to concentrate, affect your coordination, and prevent good judgement. Choose to stay away from consuming like this that will impair your ability to drive. If you plan to have any alcohol or drugs, make sure you have a designated driver beforehand or have an alternate way to get home planned. While getting scared and playing pranks may be a part of some Halloween traditions, make sure that your focus is on keeping you and your passengers safe this year. Nothing spoils the fun like an injury or car crash. 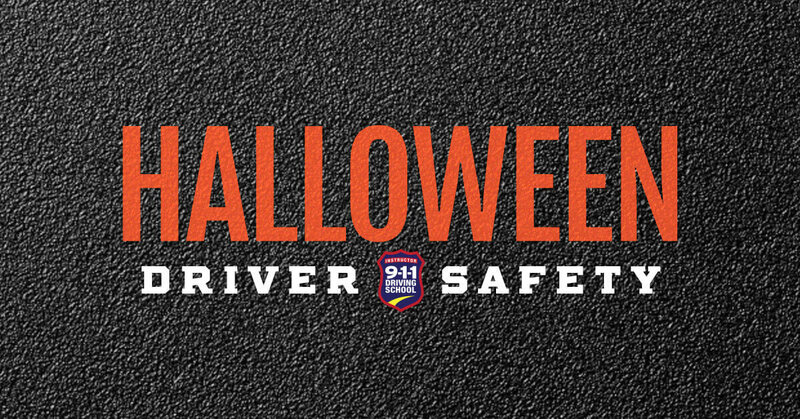 Make safety a priority for yourself this Halloween by following these simple driving tips.